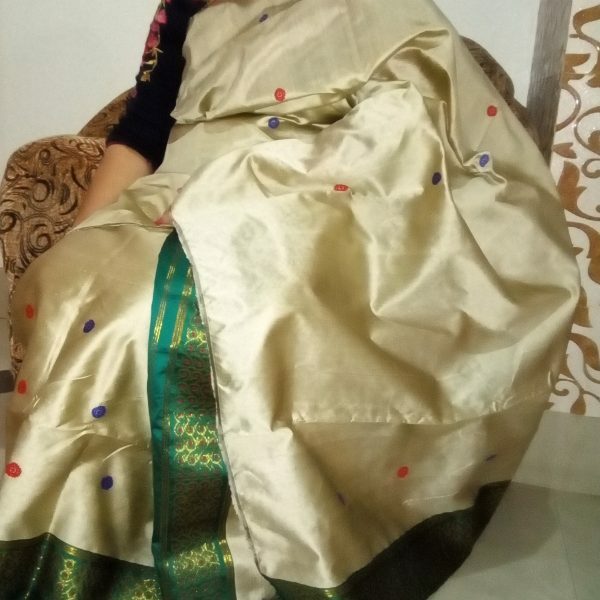 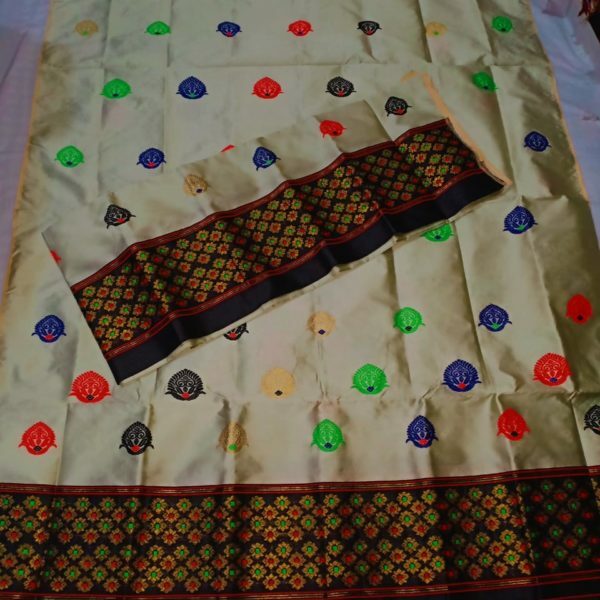 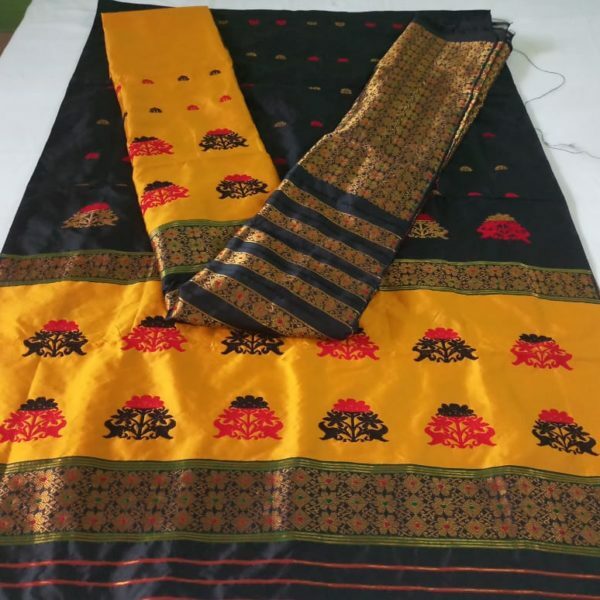 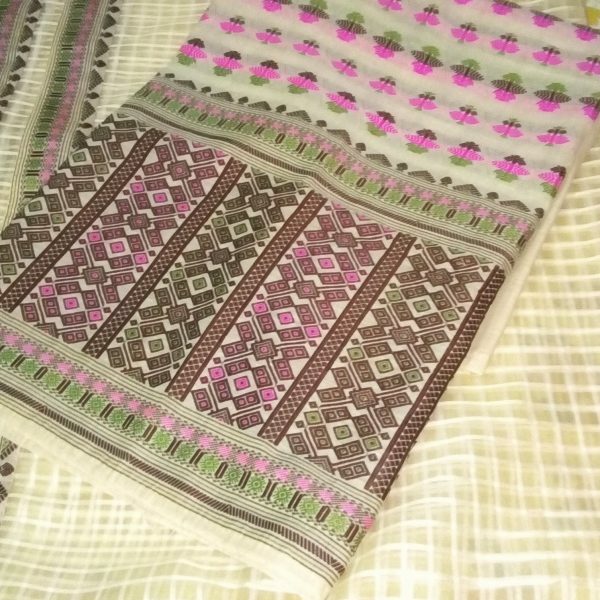 Mekhela Chador or sador mekhela/chadar mekhela is the traditional assamese dress worn by women. 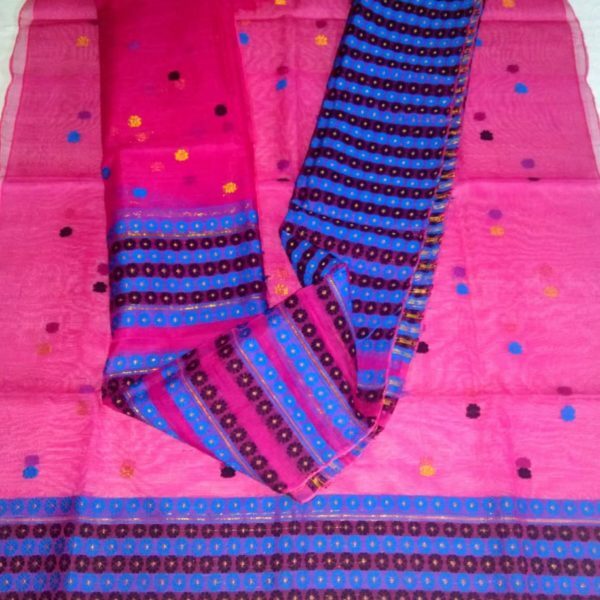 There are two main pieces of cloth that are sprawled around the body. 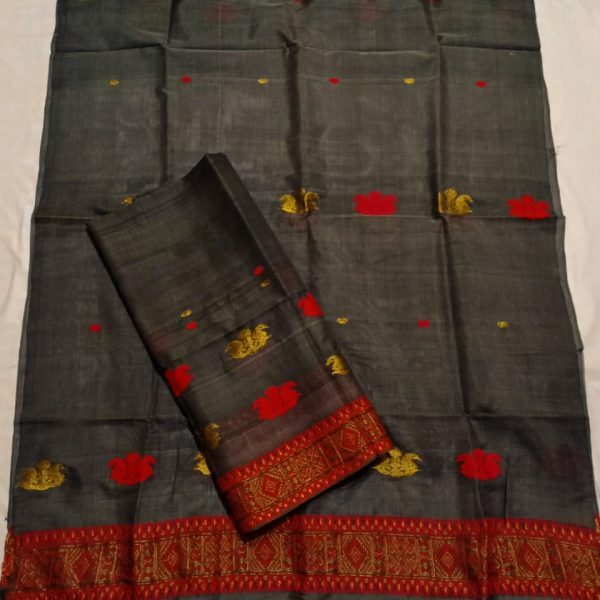 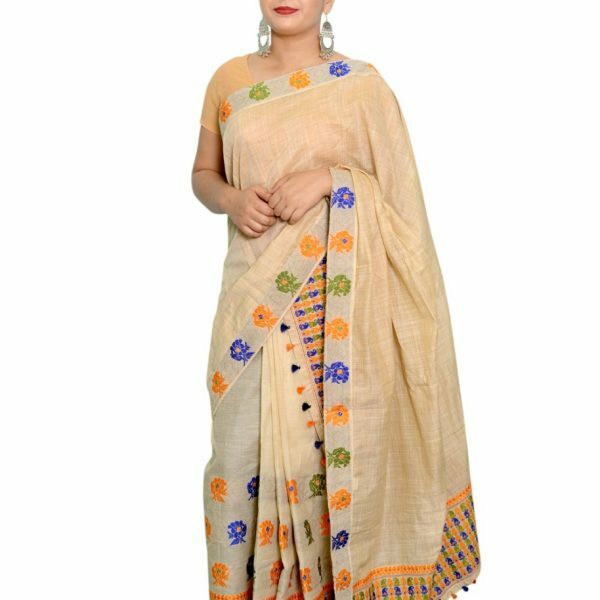 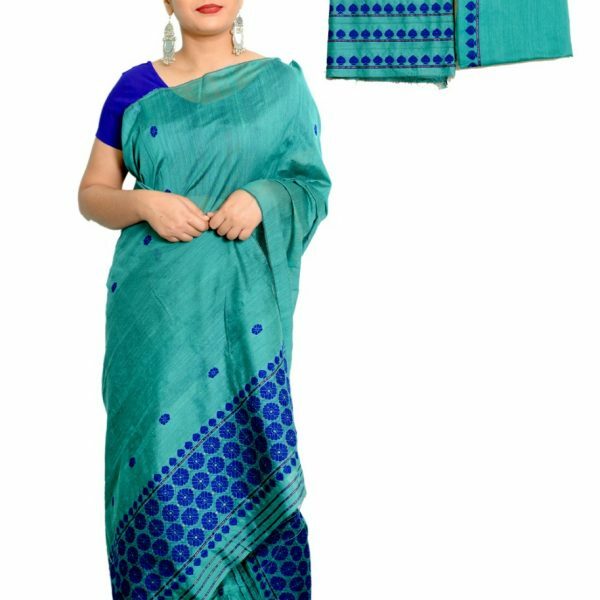 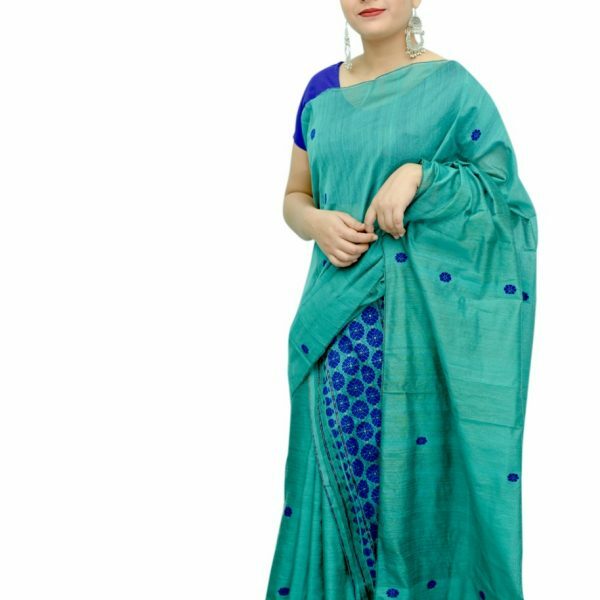 1) Mekhela: the bottom portion, wrapped from the waist downwards is called the mekhela. 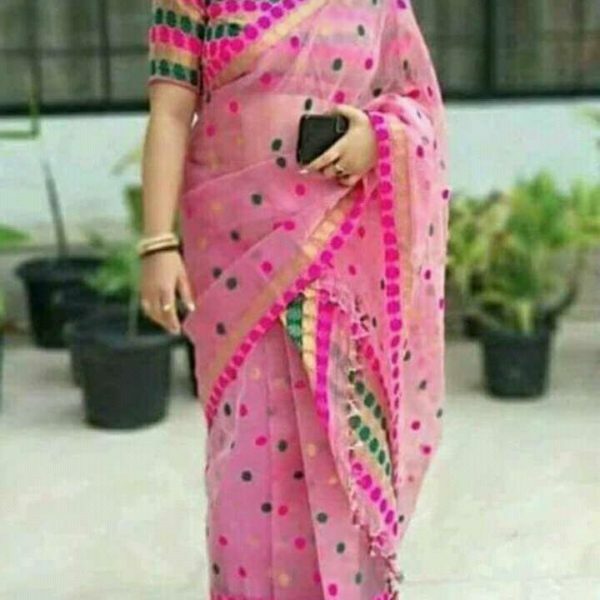 2) Chador or sador : the top portion of the two-piece dress, called the Chador, is a long length of cloth that has one end tucked into the upper portion of the Mekhela and the rest draped over and around the rest of the body. 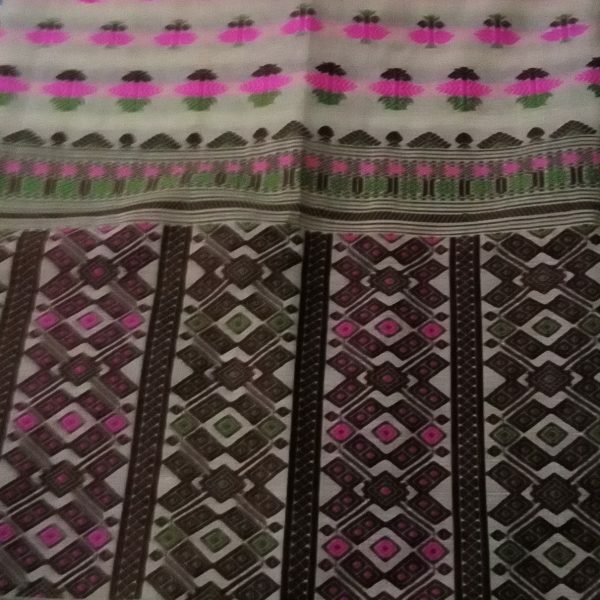 3) Blouse: Generally the blouse worn in mekhela-chador joda, the blouse matches the mekhela. 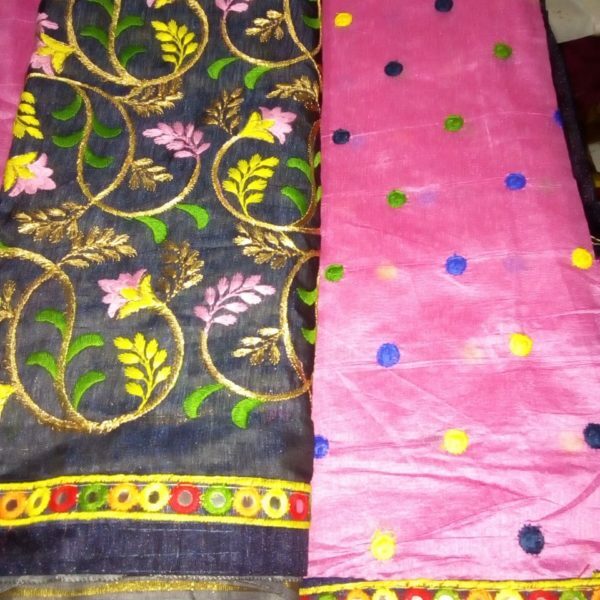 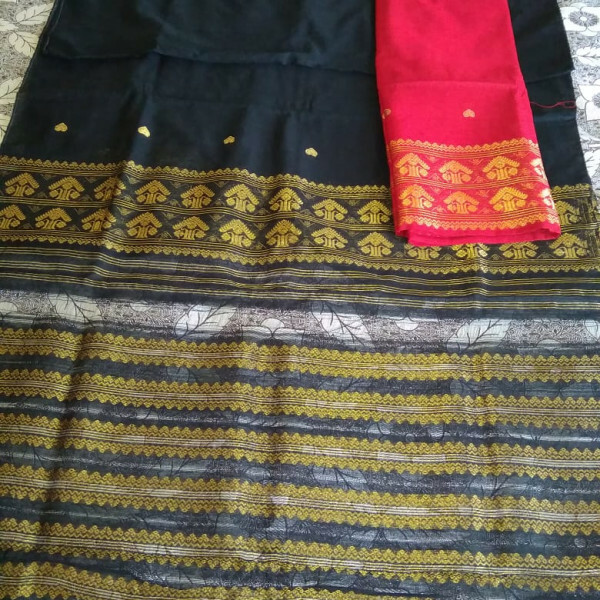 Cotton Nooni Mekhela Sador on Black with Red and Guna work. 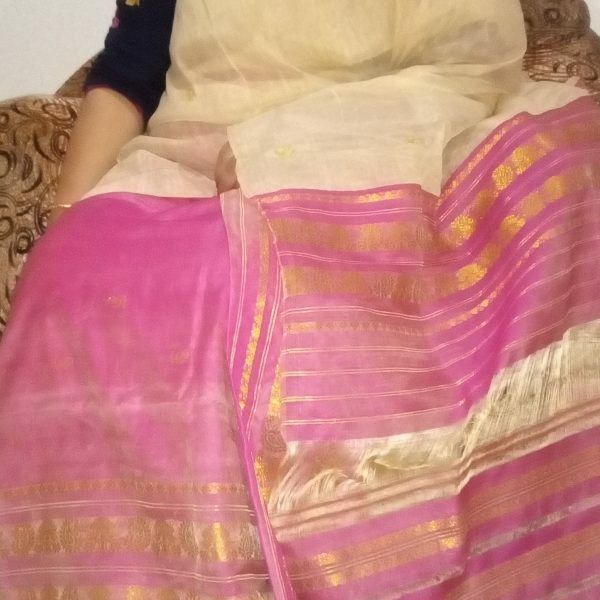 Gari Diya Mekhela Sador in Cream Colour. 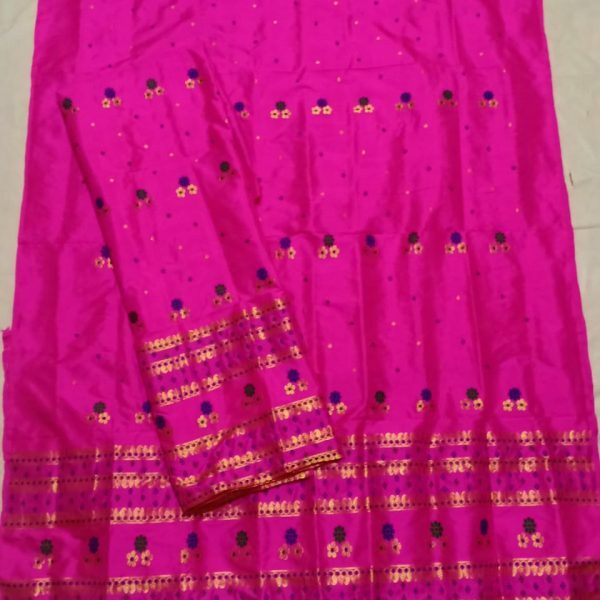 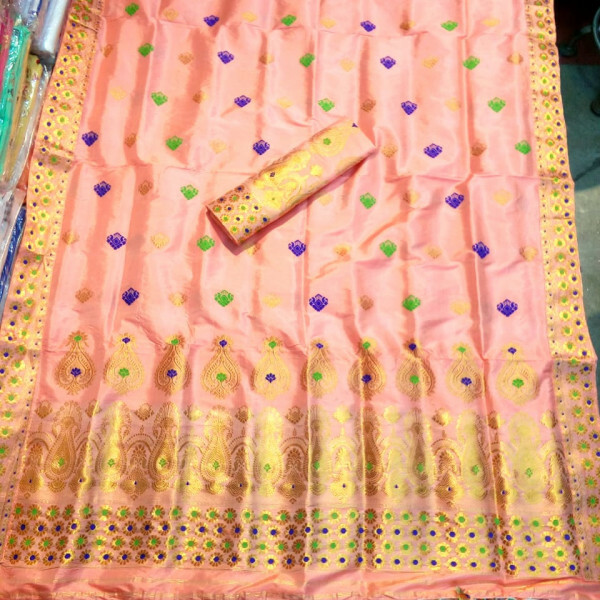 Semi-nooni Mekhela Sador in Pink and Cream Colour. 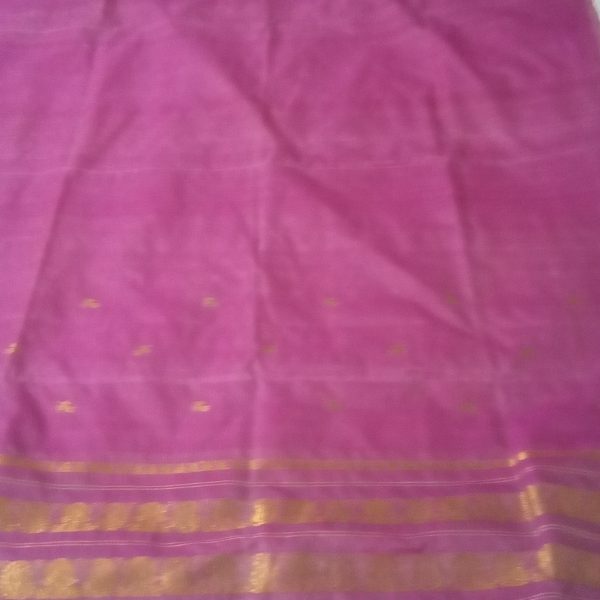 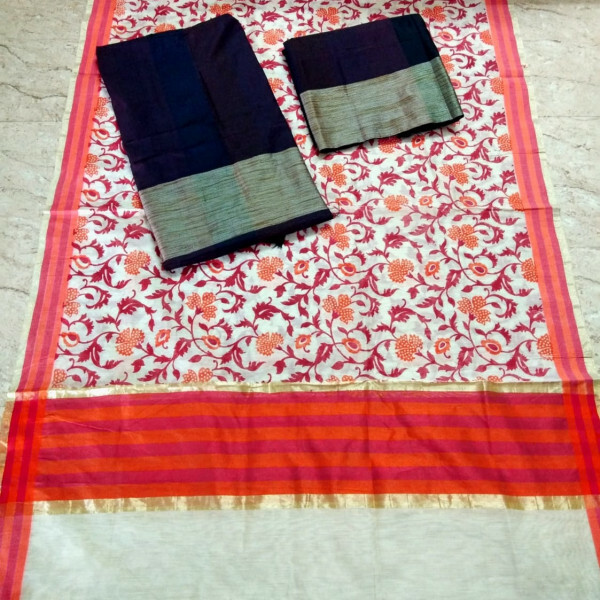 Pure Assam Silk in Pink colour with Guna and xuta small buta. 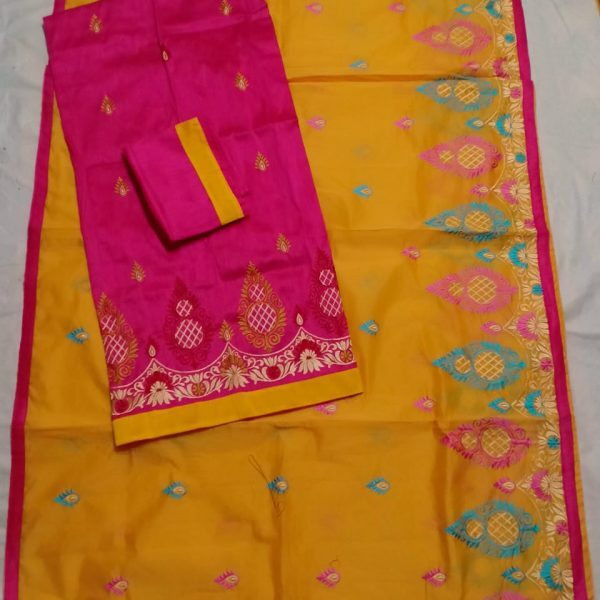 Off White Colour Ludhiana Paat Mekhela Sador.